As a kid, one of the biggest occasions for my family and I was a trip to the video store. 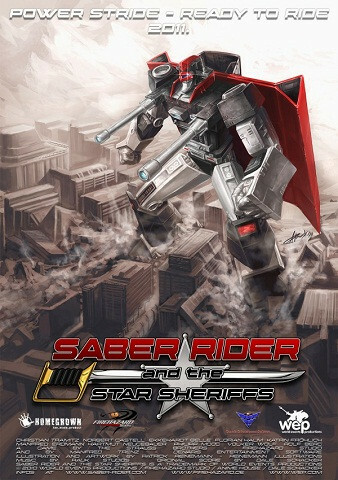 Between renting every single Godzilla movie I could get my hands on and scrounging for random volumes of ThunderCats, one of the titles I most looked forward to finding was Saber Rider and the Star Sheriffs (originally Star Musketeer Bismarck). After watching that intro, I'm sure a lot of you can understand why the show faded into obscurity and has remained there since. 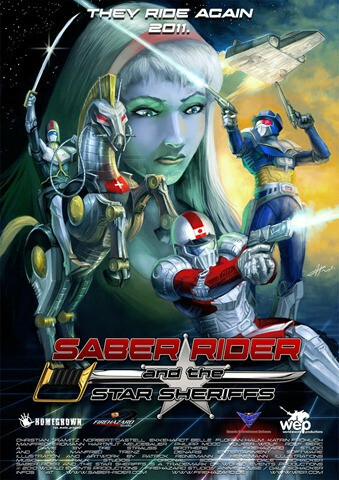 While Voltron and Robotech (and their respective originals GoLion and Macross) have been re-released, Saber Rider remained in '80s limbo with Galtar and Bananaman until Firehazard Games announced their development of a multiplatform on-rails shooter in 2010. The game was announced for pretty much every platform under the sun--XBLA, PSN, 3DS, iOS, probably even for those indestructible monocolor Nokia phones. 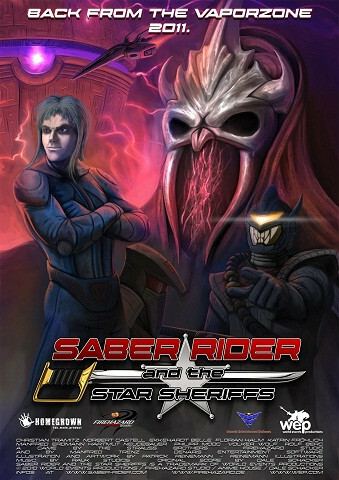 Unlike other titles in development that were given steady coverage, Firehazard has kept details to a minimum for Saber Rider and the Star Sheriffs, first announcing the game's release for 2011 with a series of awesome promo posters. Firehazard follows the classic feel of the series with old-school gameplay--they're aiming for an on-rails shooter in the vein of StarFox 64. With Saber Rider being a less-well-known property, Firehazard is opting to retell the original story instead of going for a sequel. Players will be able to take control of the titular Scottish Highlander hero Saber Rider, former race car driver Fireball, and bounty hunter Colt. Each character will have their own character-specific weapons and vehicles, like Colt's Bronco Buster spaceship and Saber Rider's unimaginatively-named cybernetic horse Steed. Originally planned as a twilight release for the GBA, development was delayed and now the title is being set for release on just about every current major platform. The plan is to release the game in 2012, provided that Firehazard is able to find a publisher. Personally, I hope this game gets released just for the sheer nostalgia trip it will provide--the recent PSN and XBLA Voltron was pretty fun, so I'd love to see more newer games based on old-school anime. What about you? 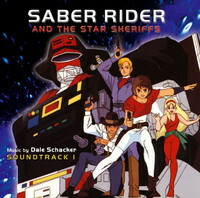 Would you return to the New Frontier with Saber Rider and the Star Sheriffs, or is this just too "before your time?"